Claudia is one of our Duty Managers in Cape Town. 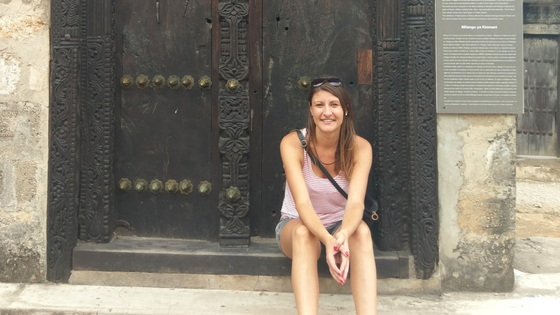 She visited the capital of Kenya and shared her Top 10 things to do and see with us. I have been to many National Parks in Africa before. This park is the only National Park in the world that is situated in a city. A safari is worth it as the park is perfect to spot the 4 out of the BIG 5 - only elephants are missing at this park. The reason for that is that the park is Maasai area. The Maasai always coexisted with the wild animals, that´s why you find a variety of wildlife there. 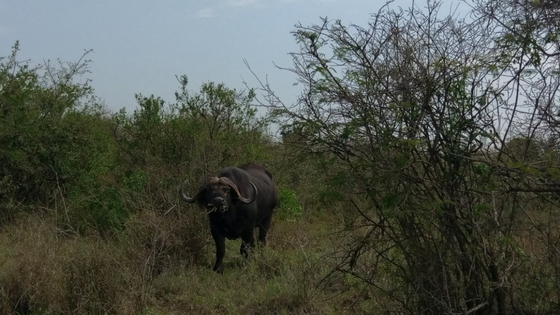 I have been to more well-known National Parks in Africa before and especially in one of them I only saw one member of the BIG 5. However, at Nairobi National Park I saw 3 out of the 4 that you can find in the National Park – only the Leopard was hiding that day. You have probably seen a Maasai in a documentary or on TV before. The Maasai are the best know local population in Kenya. What always fascinated me were the colourful blankets they wear. For sure, I wanted to take one home with me. You can find many Maasai Markets in Nairobi. They have the most amazing things: handcraft, wooden art... and for sure lovely Maasai blankets. Besides the blankets you can find paintings, wooden art, clothing, fabrics and many more. Don't miss out on taking a nice souvenir home with you either. I finally purchased my Maasai blanket there. How cute are baby elephants? 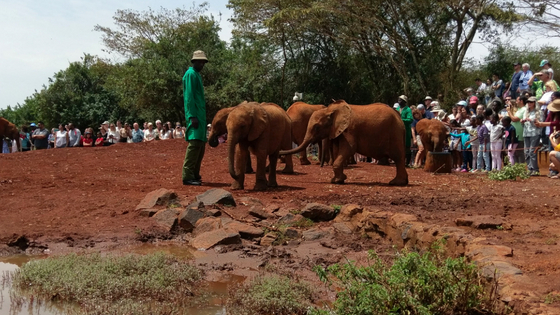 At the Sheldrick Elephant Orphanage Center in Nairobi, which is an orphan-elephant rescue and rehabilitation centre you can experience those super cute animals. At this centre they take care of baby elephants that became orphans due to poaching attacks. It is definitely heart-warming watching them playing and getting fed. Besides that the keepers give you many information on the elephants. I have to admit what is a bit annoying is the fact that it is always full of people there. The reason for that is that the centre only opens for 1 hour every day. However, visiting the centre and paying the entrance fee is for a good purpose as the keepers do a great job there. I am pretty sure you have heard of the movie "Out of Africa". It describes the life of Karen Blixen, a danish author that published a book with the same name. Kenya played an important part in Karen's life. The farm that houses the museum now used to be a coffee plantation and was run by the author and her husband. I loved the movie so it was a must for me to visit the museum. Kibera is Africa’s biggest slum and one of the biggest slums in the world. Many NGO's have started super cool projects there. Even many young Kenyan's that used to live in Kibera have started their own projects to help the community. It is worth it to check out the projects once in Nairobi. Have you ever fed a giraffe? I haven't before I went to Kenya. 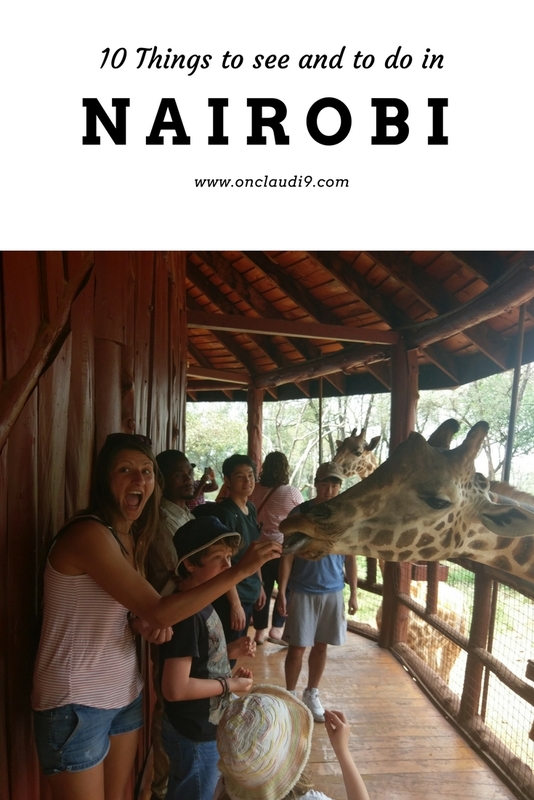 At the Giraffe Center in Nairobi I got to feel that long wet taugn picking bread crumps from my hand for the first time. It was such a funny feeling. The Giraffe Center was established to protect the endangered Rothschild Giraffe. It also serves as an education centre for schools. If you want to have a special encounter and willing to spend a bit more money you can even watch them while having breakfast in the fancy hotel just around the corner of the centre. When I travel I strive to get to know the culture, traditions and the people of the country I am traveling. I always try mingle with the locals and usually end up making friends. Fortunately, most of the time my new friends then take me around, show me all the hot spots. Sometimes I even get invited to their homes to meet the family and for some traditional food. If that isn´t your thing but you love to get to know a bit of the culture “Bomas of Kenya” is your spot to visit. It is sort of a village that represents the different cultures in Kenya. They do the traditional dances, wear the traditional clothes and live in the traditional homes. I had a super yummy dish called: Mkate Wa Nyama and Mishkaki Chicken Kebab, which is a samosa pastry with a meat filling and a meat kebab. Nairobi is not only a big crowded city. Beautiful nature is just around the corner. You love hiking? Then you have to go for a hike at Ngong Hills and conquer all the seven hills. Take a ranger with you and enjoy breathtaking views from this spectacular range of hills. Besides the Maasai Markets there is another place to purchase amazing handcraft: Kazuri Beads Factory. It is a factory producing beautiful hand crafted ceramic beads. Unfortunately, I haven´t had time to check it out but I heard it is worth it to go there.